THESE ARM WARMERS ARE PERFECT FOR WINTER WEATHER. 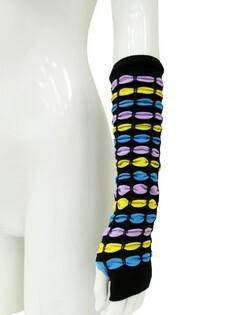 WHETHER YOU WEAR THESE ALONE, OR AS AN ACCOMPANIMENT TO YOUR FAVORITE CARDIGAN. 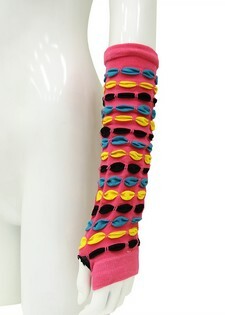 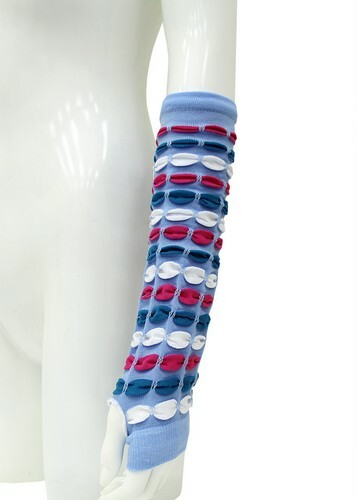 THESE ARMWARMERS ARE EMBELLISHED WITH STRIPS OF FABRIC, WOVEN THROUGHOUT IN 3 DIFFERENT SHADES.